A car without anti lock brakes is vulnerable to uncontrolled skidding when braking, due to the risk of wheels locking up. The ABS system uses speed sensors to detect rapid decelerations, then controls the brakes through a series of valves positioned on the brake lines. The ABS uses a pump for restoring pressure to the brakes. The system is run by a control unit that processes the data from the sensors and controls the valves and the pump. Manufacturers continue to upgrade and improve anti-lock systems for faster reaction times and greater sensitivity. To find out details about your car’s system, visit Meineke #4146 in Las Vegas, NV. ABS brakes were designed to prevent lock-ups and skids but also offer a few other benefits. Some insurance companies offer discounts for having this safety device because it has a track record of effectively preventing accidents. ABS is standard on today’s vehicles. Without this system on your vehicle, you may not get the premium resale value. Although the ABS system cost does add to the overall cost of your car, it’s worth the added safety and value. 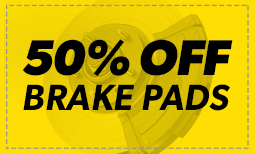 Talk to the technicians at Meineke #4146 in Las Vegas, NV for more information about ABS brakes. Some people think that the funny little sound their brakes are beginning to make can be eliminated with a simple fix. They begin looking around, wondering where to buy brake fluid and spend some time considering options, such as silicone brake fluid versus mineral brake fluid as well as overall brake fluid cost. 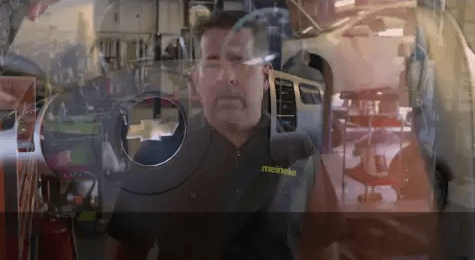 Meanwhile, the funny sound turns into an annoying screech and the smart driver will realize it’s time to take the car to Meineke #4146 in Las Vegas, NV, for an inspection. Signs of potential brake failure can appear suddenly or gradually. In some cases, the brake pedal may go out, while in others you may notice a creeping increase in the time it takes to stop your car. Strange noises while braking can also indicate a problem. Faulty brakes decrease the control you have over your car and can lead to a serious accident. If you notice a problem with your brakes, have your car checked immediately. Contact the car repair professionals at Meineke #4146 in , NV for repairs and maintenance to your brake system. While some types of brake problems can be fixed by replacing the brake fluid, others need a more fundamental system overhaul. The top sign that a replacement is needed is noticeable loss of function in your breaks. If you are pressing your pedal and encountering no resistance, this could be a sign of systematic failure. If your ABS system is kicking in during normal driving, it may need to be replaced. Get a better idea of replacement brake and ABS system cost by speaking with representatives at Meineke #4146 in Las Vegas, NV. Keeping your brake system in good order and replacing it as necessary is one of the most important car safety precautions you can take. For this reason, it is essential to have an experienced car professional to rely on. From knowing where to buy brake fluid that is right for your system to resources for ABS brake service, your service center helps you to keep your brakes in top condition. Visit in Las Vegas, to learn more about brake replacement and maintenance.